The Four Gospels of the Lord Jesus Christ according to the Authorized version of King James I. 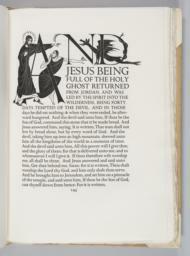 With decorations by Eric Gill. 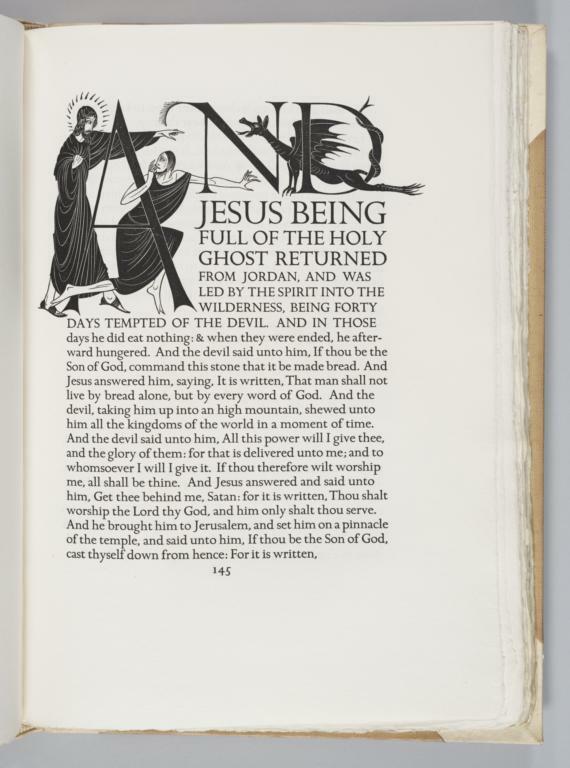 Created by Eric Gill and Robert Giddings, who did the typesetting, typography, woodcuts and illustrations, printing, etc., while working at the Golden Cockerel Press.